Carder bees are stocky black insects with distinctive yellow markings on their abdomen. Unlike other bees, the males are actually larger than the females. The males are territorial and patrol an area to keep out intruders. 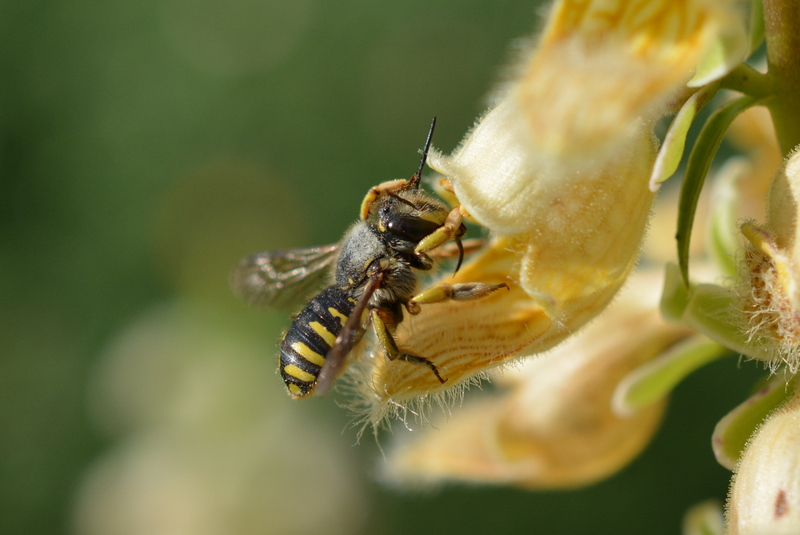 Like all other bees in the Megachilidae family, the females carry dry pollen on scopa hairs on the underside of the abdomen. 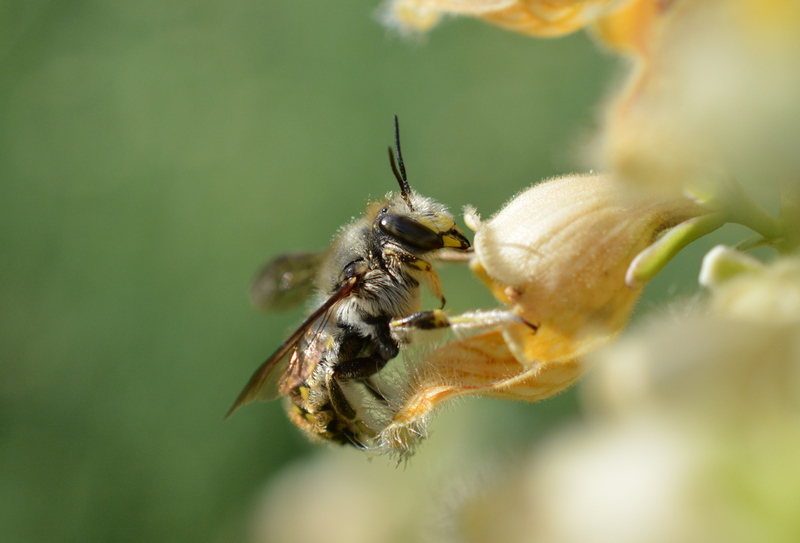 Carder bees get their name because the females “card” or comb cottony material from leaves such as mullein or lambs ear to add to cell divisions in their brood chambers. Females have five sharp “teeth” on their mandibles. This solitary bee nests in preexisting holes in wood, soil, walls or stems and the visible downy hairy fibers at the holes edge are indicative of carder bee nests.